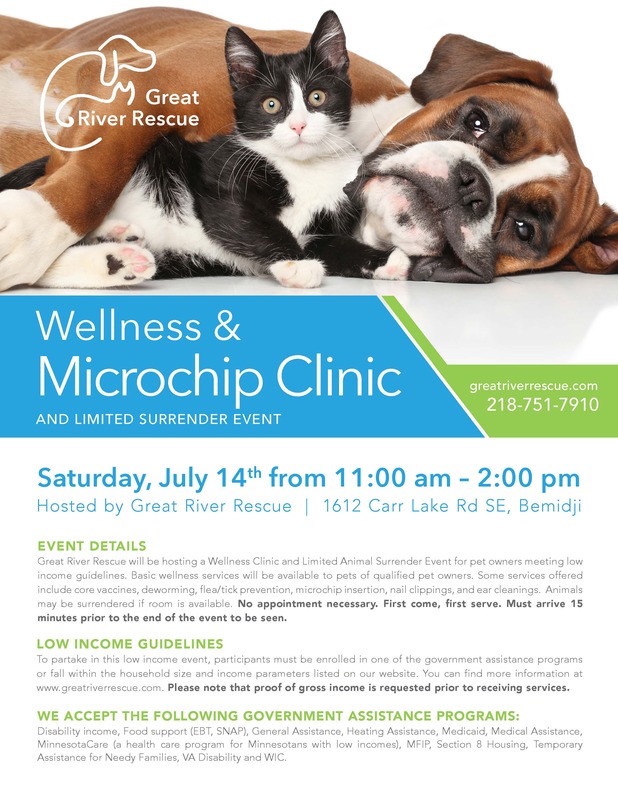 Great River Rescue has announced that it will be hosting a Microchip and Wellness Clinic for Low Income Pet Owners on Saturday, July 14 from 11 am to 2 pm. Services provided will include core vaccines, flea/tick preventive treatments, dewormer, microchip insertion, and basic grooming services. Also, a limited number of animals will be accepted for surrender depending on space availability. All services will be available at a reduced rate for all qualified pet owners. 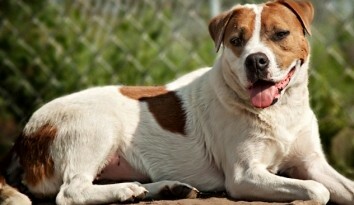 Qualifications and prices can be found at Great River Rescue’s website greatriverrescue.com. According to Executive Director Brandon Mustful, Great River Rescue is offering the clinic to help ensure all pets in our community get the care they need. 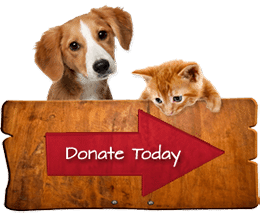 “We know there are many caring pet owners in our community that can’t always afford needed services for their pets,” said Mustful. “We want to do everything we can to see that these families are able to provide adequate care.” 2018 marks the second consecutive year that Great River Rescue has offered this service. Appointments are not necessary to attend this event. Interested community members are encouraged to visit www.greatriverrescue.com/events-calendar to learn more. Great River Rescue, a non-profit organization, was established in 1977 as the Beltrami Humane Society. 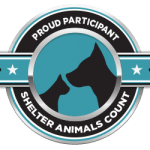 Over 10,000 kittens, puppies, cats, and dogs have been adopted from the shelter since that time. 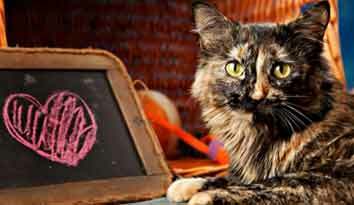 A no-kill shelter, it can house up to 45 cats and 25 dogs and maintains a waiting list of animals to be surrendered. Located at 1612 Carr Lake Road, the shelter is open from 12:30 – 5:30 PM, Tuesday through Saturday. Executive Director Mustful can be reached at director@greatriverrescue.com or 751-7910.